USBDLM gives you the freedom to assign a custom drive letter to the USB devices that are connected to your computer. It runs as a Windows service, which means that the logged on user does not require administrative rights in order to modify the drive letters. By default, your system allocates a newly connected removable device to the first available drive. Letter assignments can also be changed manually via the Control Panel, but this application helps you save time and gives you less headaches. The running service is capable of identifying the connected drives and instantly verify whether the letter that is assigned to the device is used by network drives for the currently logged in user. Configuring the application behavior is done by editing the USBDLM. INI file. For your convenience, the package comes with a sample configuration file that can be used as an example. You can set new drive letters that should be allocated to connected USB storage devices, retain certain letters that cannot be distributed to local drives, hide or remove certain drives, set the program to display a popup window containing the assigned drive letter or manage special situations that require you to assign letters to a drive provided specific conditions are met (for instance, a minimum size is exceeded). One advantage of USBDLM is related to card readers, which are normally assigned a drive letter for each slot. With the help of this application, you can instruct the computer to create a new drive letter until a card is detected. 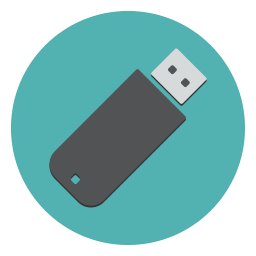 While configuring it might take a while and beginners might find this operation quite difficult, USBDLM can prove to be a useful tool for controlling the way Windows allocates letters to connected drives.